Let's make a better FT3D! My FT3D has had a good six years, but now the paper is delaminating from the foam board. The last time I flew it, the left side of the elevator stopped doing what the right side was doing, and I barely got the plane down in one piece. Time to make another one! My goal here is to improve the flight characteristics of the FT3D without making the model significantly harder to build. The community has learned a lot since the original FT3D plans were published, so there's a lot to draw on. I have a bunch of cell phone photos from the build to unpack. 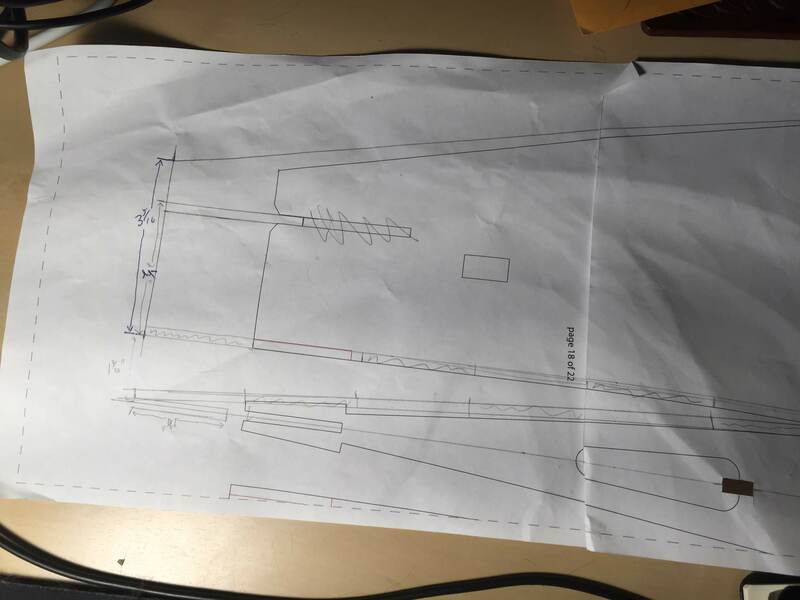 I also have some hand-drawn plans to enter into the computer. More to come! The elevator connection is the biggest thing. Where you not using the hatch on the original? It's still one of the best 3D planes out there, and cheap for a trainer. As a matter of fact I do have a battery hatch on my old FT3D; I added it the second time I rebuilt the nose. It sure made battery changes a lot easier. 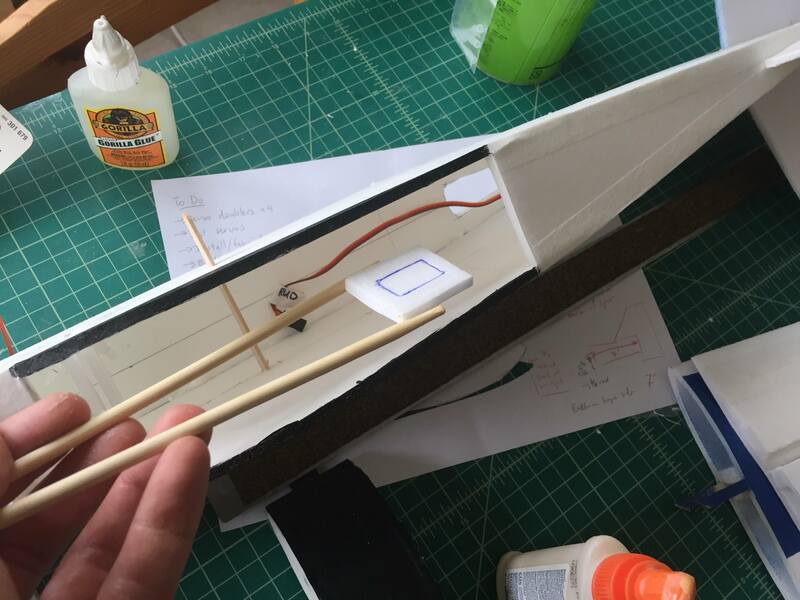 I was intending to add two inches, but the fuselage ended up 2.5 inches longer than my old FT3D. I'm not 100% certain, but it looks like the fuselage in the tiled plans is half an inch longer than the fuselage in the one-page plans. Anyhow, an extra 2.5 inches of tail moment makes the plane track better. I'll probably crank that up to 3 on the next prototype. I also moved the rudder and elevator servos forward by 3 1/2 inches. I'm using Du-Bro 2-56 control rods (https://store.flitetest.com/dubro-12-256-rod-w-nylon-kwiklink-5-dub184/p25509), and I haven't had any problems with them flexing. I used box joints on the fuselage corners, and I cut the top as a separate piece. I used paper surgical tape to help join the top corners. I’ve made several changes to the FT3D also. Larger rudder, elevator, wing and longer nose to get the correct CG. How much larger? I haven't tried changing the size of the wings or control surfaces yet myself. Establish the leading edge crease. It's important to be precise here, or you'll end up with a twisted wing later on. I used a straightedge and a ballpoint pen. 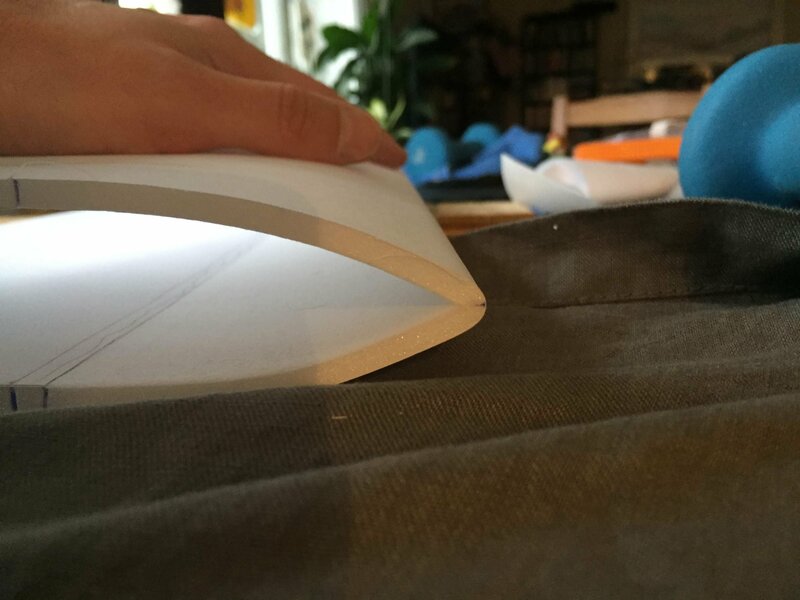 Remove the paper from the inside of the wing ahead of the spar. 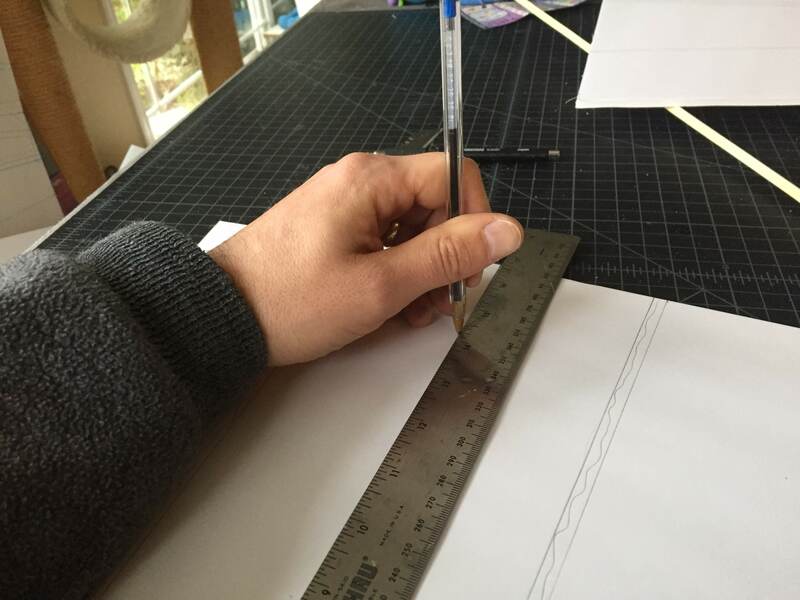 Leave the rest of the paper on so that you have something to hold onto while bending. 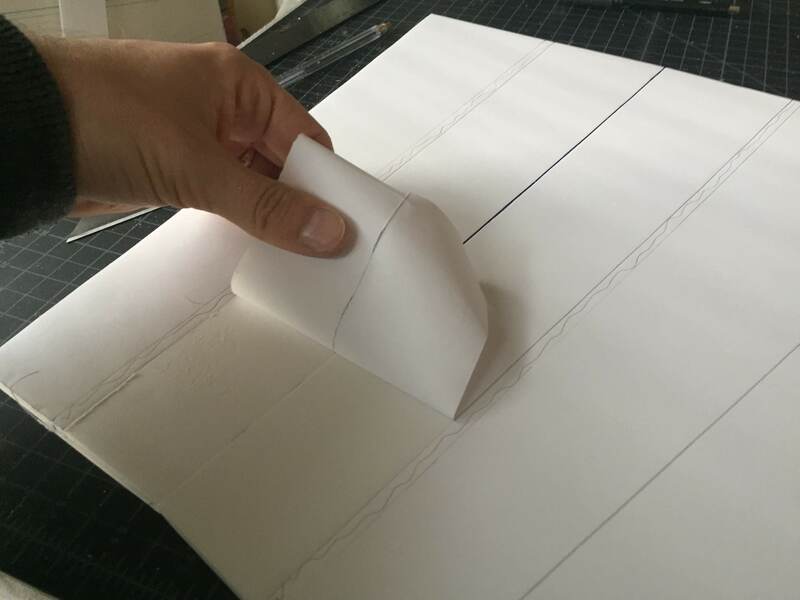 Using the edge of the table, give the foam between the leading edge and the spar a curve. Remove the foam from the spar channels and cut the bamboo strips down to length. They should stick out about 1.5 inches on the long side of the wings. 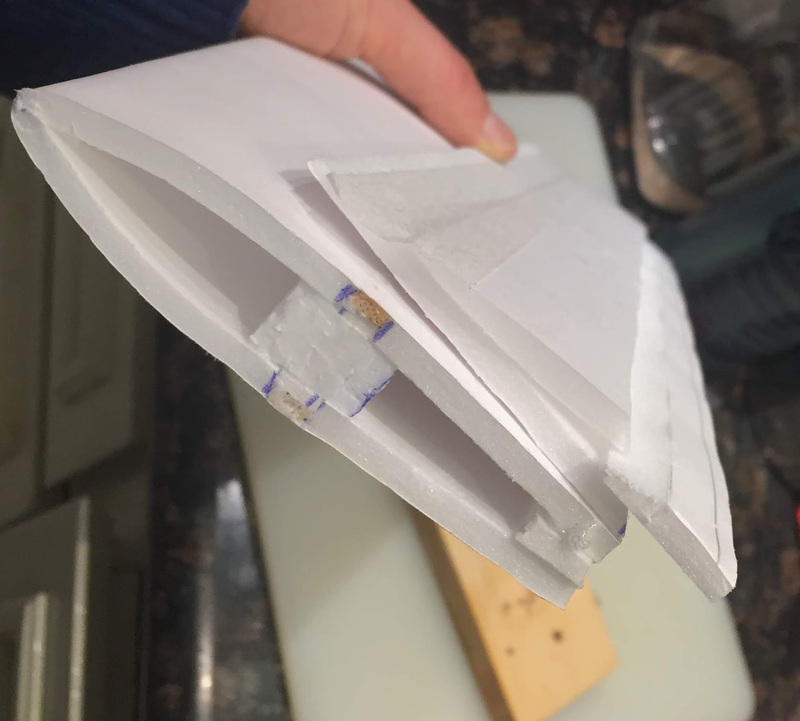 Remove the rest of the paper from the inside of the wing. 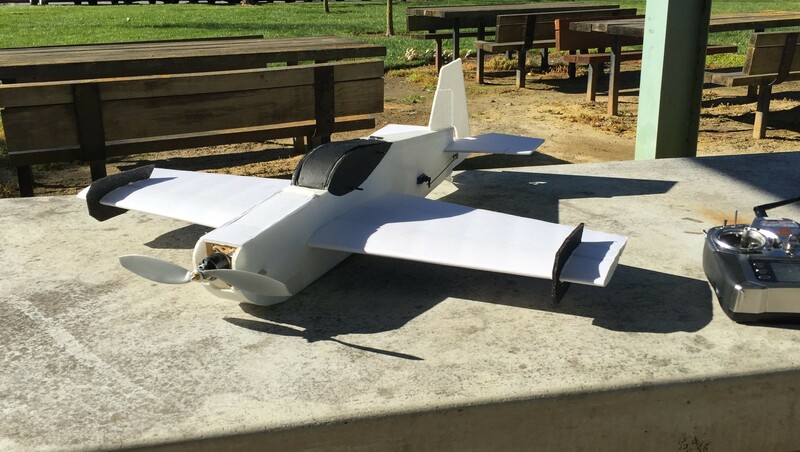 Leave the paper on the back of the aileron. Then glue in the bamboo strips, along with the foam strip that was originally inside the channels. 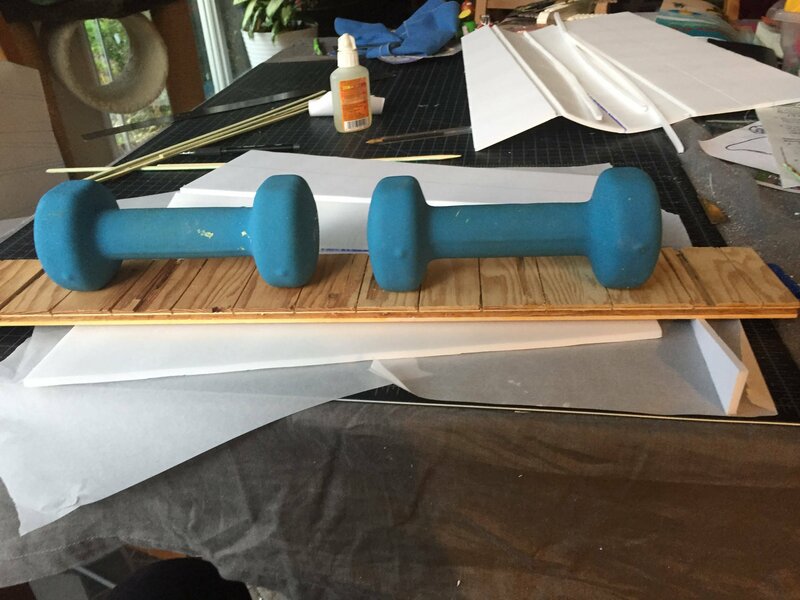 Weigh everything down while the glue dries. 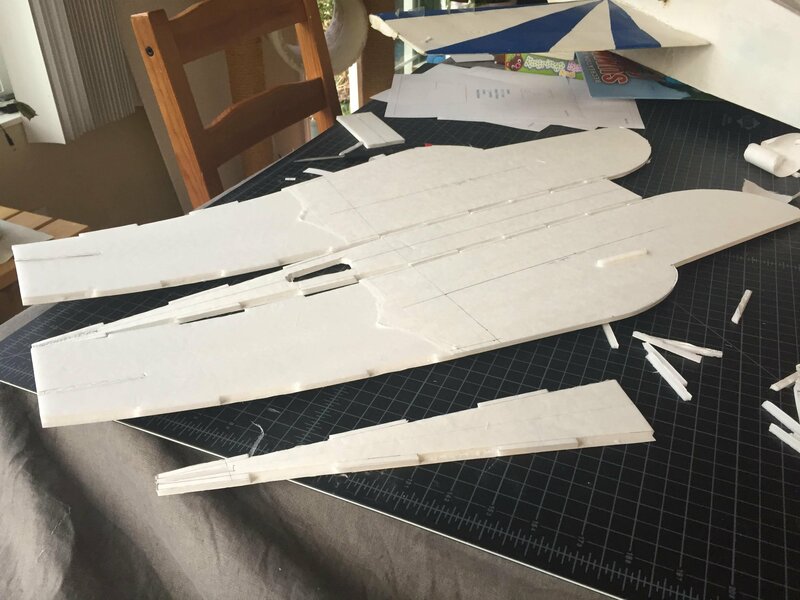 Once the glue is set, sand the foam strips flat with the rest of the foam in the wing. Note the strip of foam that keeps the trailing edges of the wing the right distance apart. Cut some foam to serve as a shear web. I'm using 3/4-inch expanded polystyrene that I pulled out of the recycle bin. 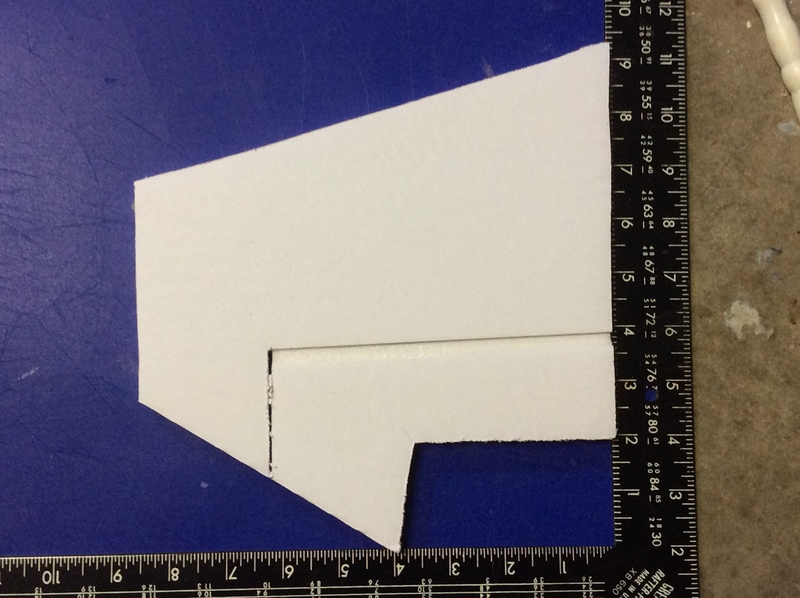 On a thicker wing, you could make a tapered box out of foam board. 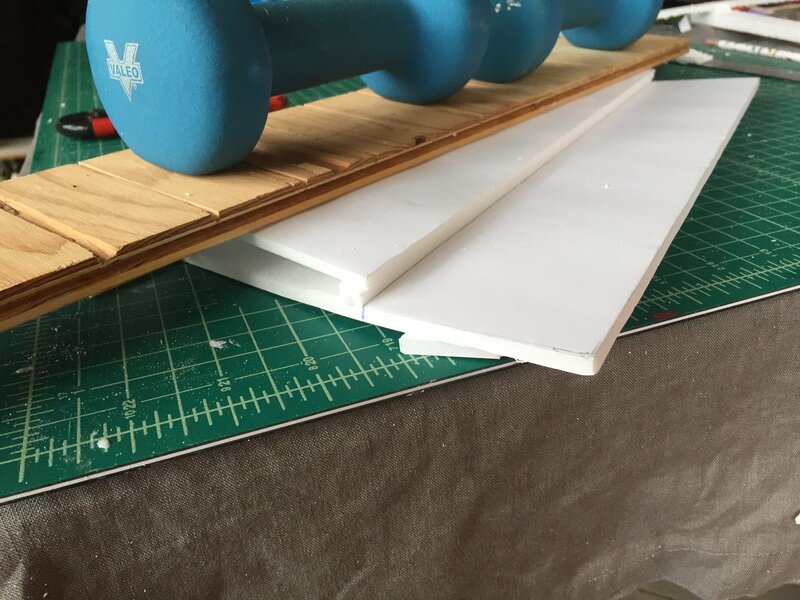 Glue the entire spar together, using shims made from scrap foam to ensure that everything is straight. Do NOT glue the trailing edge of the wing at this point. It's very important that the center line of the spar be at a 90-degree angle to the tabletop. 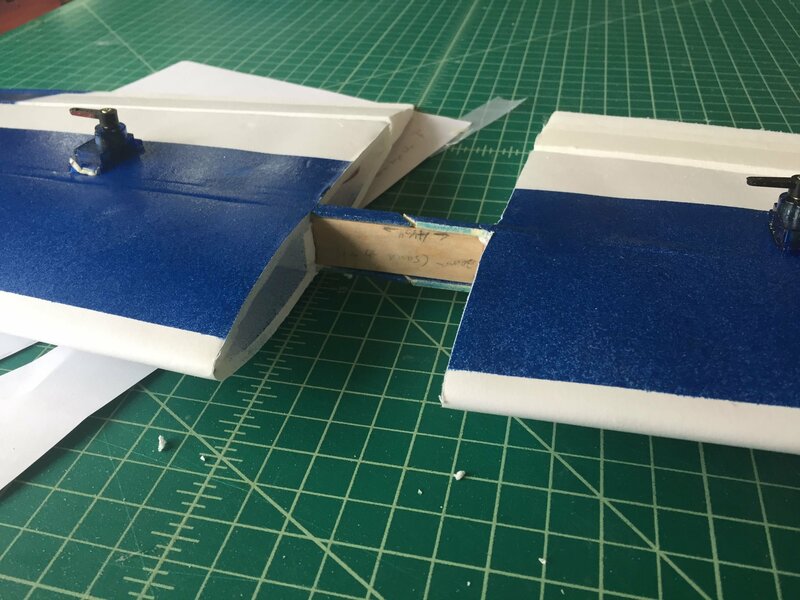 Open up the aileron joint, fold the aileron back so that glue doesn't get inside the hinge area, and glue the trailing edges of the wing together. Sand a bevel into the trailing edge of the aileron. The bevel went from 7/8 inch wide at the root to 3/4 inch wide at the tip. I removed the paper from the bevel area, did a rough cut with a razor blade, then sanded the remaining foam down with a piece of sandpaper glued to a scrap of wood. This photo was taken after the rough cut and before the sanding. 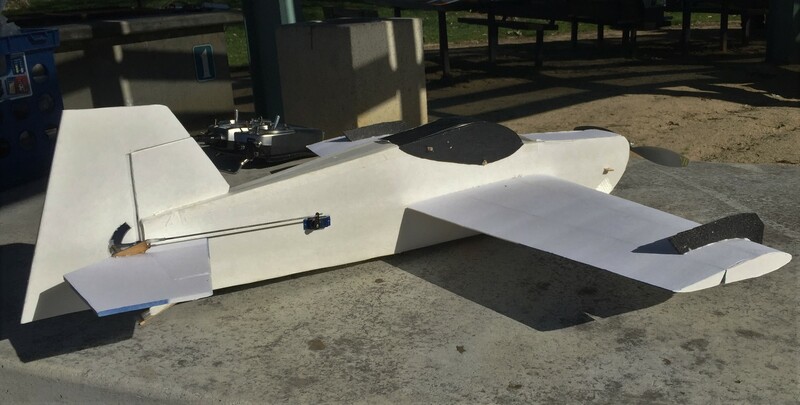 Remove the rest of the paper from the inside of the aileron. 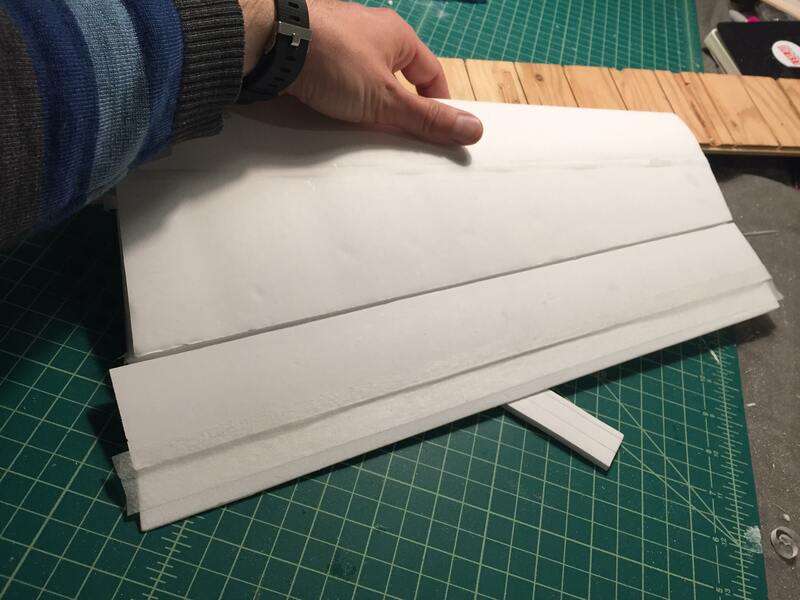 Cut a 2-inch-or-so wide strip of foam to serve as the bottom half of the aileron. Bevel it the same way as in the previous step and remove the paper from the beveled side. 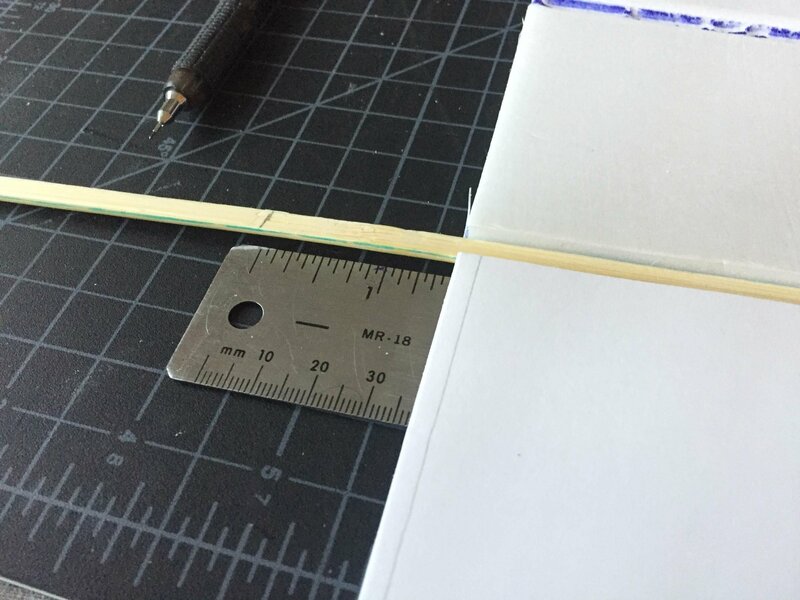 Glue the 2-inch strip to the top half of the aileron. I used some paper surgical tape here both to hold the pieces together and to smooth out the gap after the glue dries. 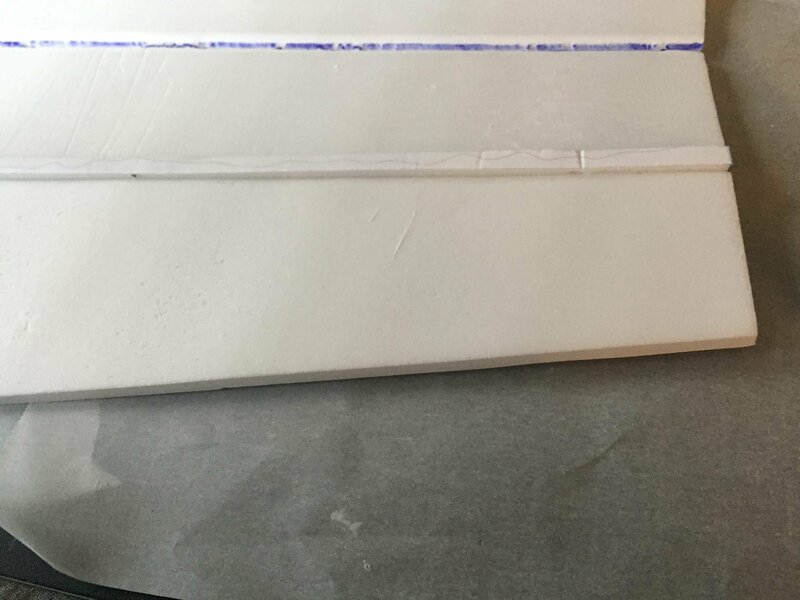 Once the glue has set, everything should line up straight. 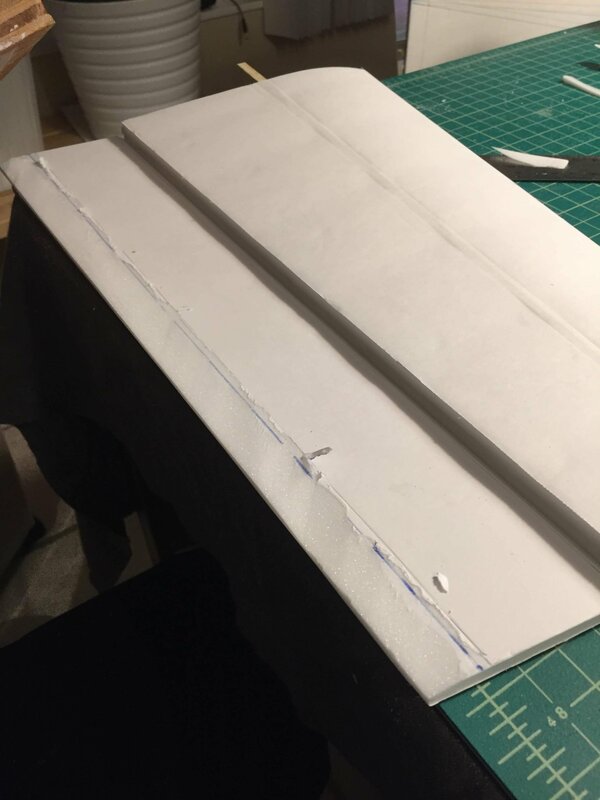 Sand a partial bevel onto another strip of scrap foam and gently press the beveled side in between the top and bottom of the aileron. Once you're satisfied with the fit, glue the beveled strip in place. 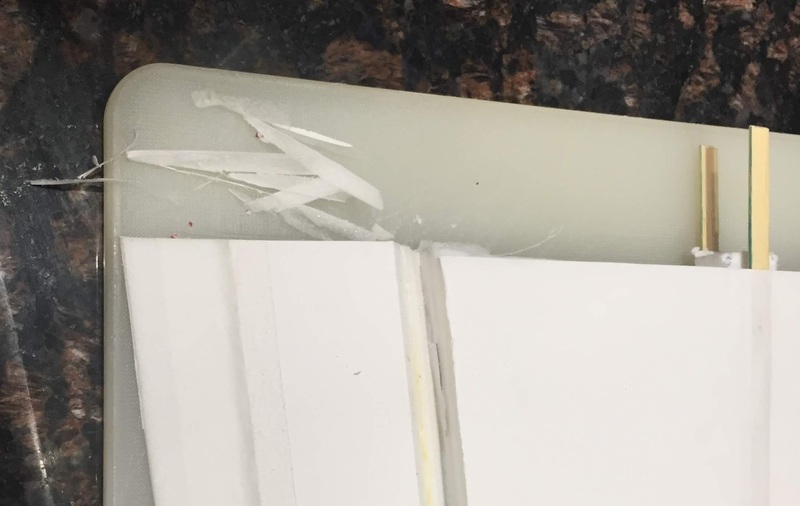 Use a razor blade to trim off all the excess foam from the aileron, then do a final sanding of the edges. My rudder is about 9" x 9.5" & elevator is about 6" x 14". I don't know how they compare to stock. I don't believe they are a lot larger. 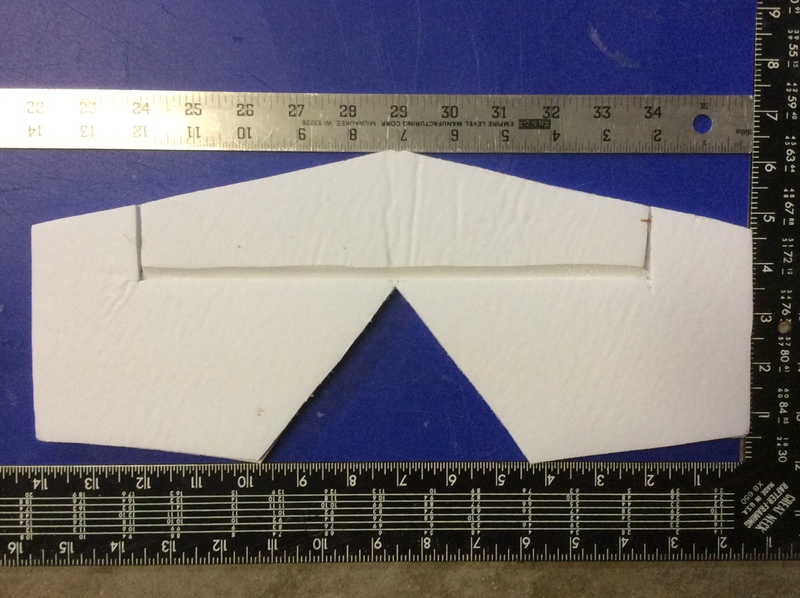 Each half of my wing is about 12" at root & 9" at tip by 20" wide, with a 2" aileron. I believe the wing is quite a bit larger than stock. I have found that my rudder & elevator take quite a bit of abuse, so I double them up. That is, I use 2 layers of FB for both. 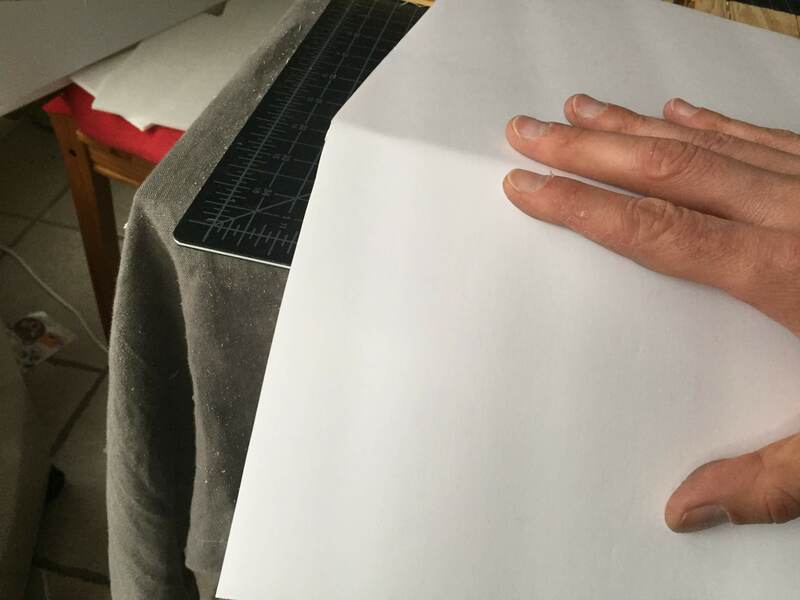 I leave the paper in the center and put bevel on both sides. You must cut the bevel BEFORE you glue the 2 layers together. This make the rudder & elevator much stronger. Thanks for the dimensions! 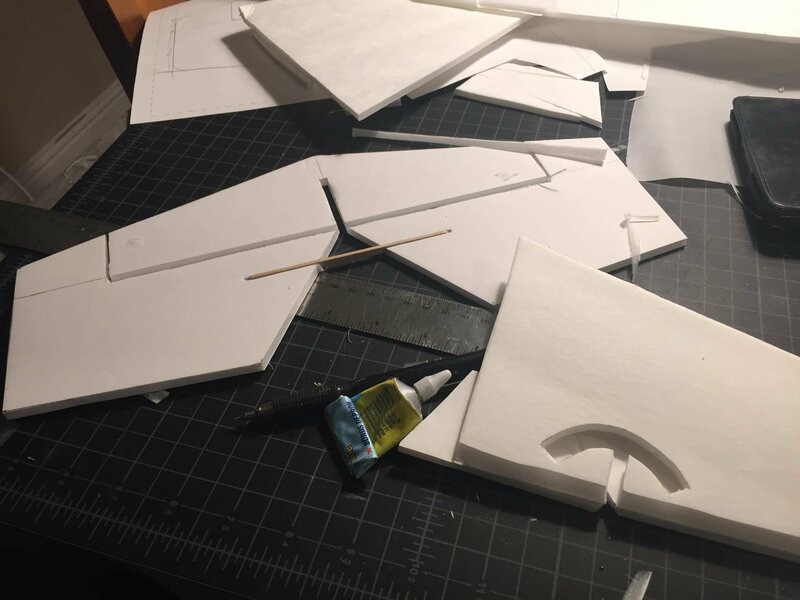 I think I'll try increasing the wing area on the next prototype. How did you keep the two halves of your elevator going up and down at the same time? It looks like you have maybe a quarter inch of foam joining them at the center? Half a popsicle stick glued in an inch from the hinge line. It works better than stock, I think it can still be improved upon. How did you keep the two halves of your elevator going up and down at the same time? It looks like you have maybe a quarter inch of foam joining them at the center? just wanted to add my 2 cents on this thread. Its one of my favorites planes to date. first i would always recommend a slow fly prop IMO. second i like the vortex generators, however i don't notice a difference n the flying. But people sure do like to ask about them or point them out. they really attract attention. For the landing gear use doll rods instead of skewers(also for almost any ft design with removable wings use doll rods). 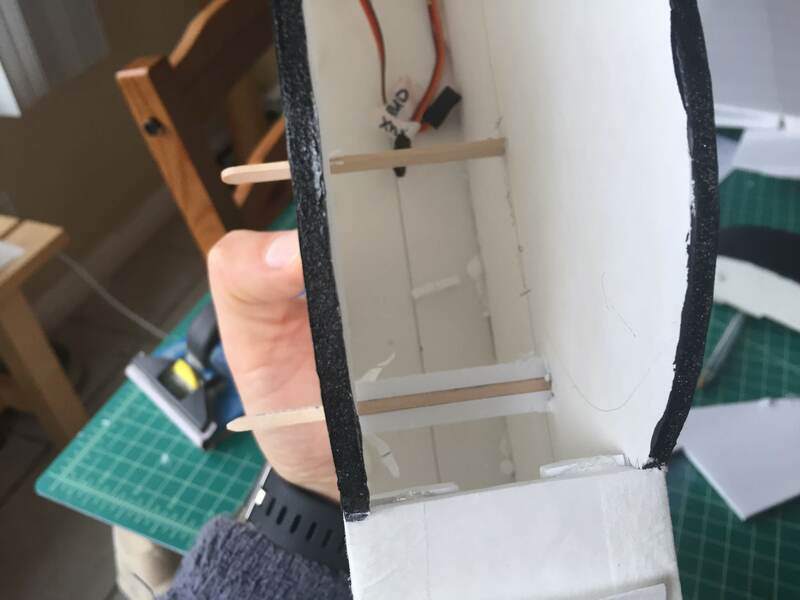 I also like to use some thin ply(the same as i use for firewalls i think maybe like 3/32) put it on the bottom so the landing gear doesn't push through the foam. For the spar use a paint stick. 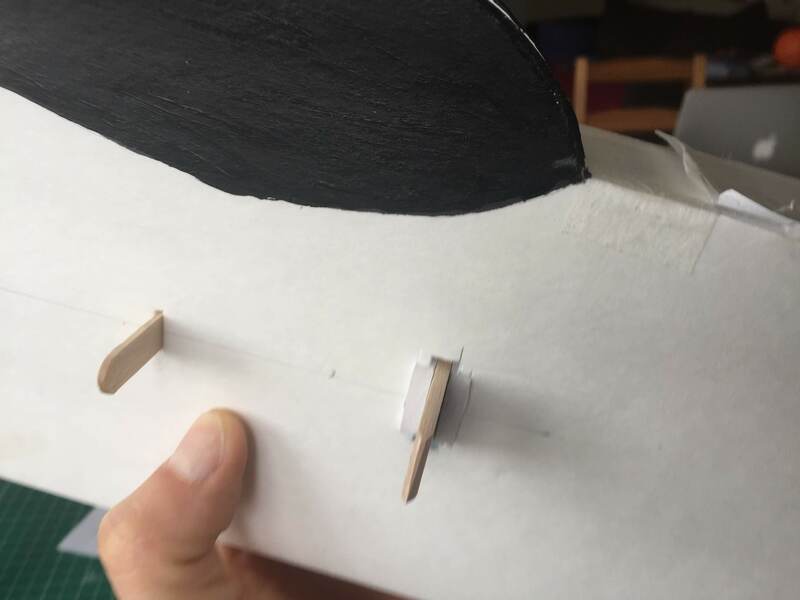 for the elevator problem(i do this on almost all FT models) just put a Popsicle stick evenly on that thin spot and then cut the slot a bit bigger on the rudder to accommodate the popsicle stick(use gorilla glue its lighter then hot glue on the tail). Here's what i do for the whole battery and charging. I run esc and battery in the swappable pod. Once i have cog i strap it in tight. I use an xt-60 extension that way the plugs are under the canopy(coincidentally, the balance lead is also under the canopy for me with a 3s 2200, and the leads point towards the tail). This way i can just charge it at the field without even removing the battery. And, I can plug and unplug by just removing the canopy. I've drawn up some rough plans for my current prototype; see the attachments to this post. I didn't draw any of the rectangular pieces, but those should be reasonably self-explanatory. Also, the canopy was unchanged, so I didn't bother to redraw that. I'm working on v2.0, slowly.